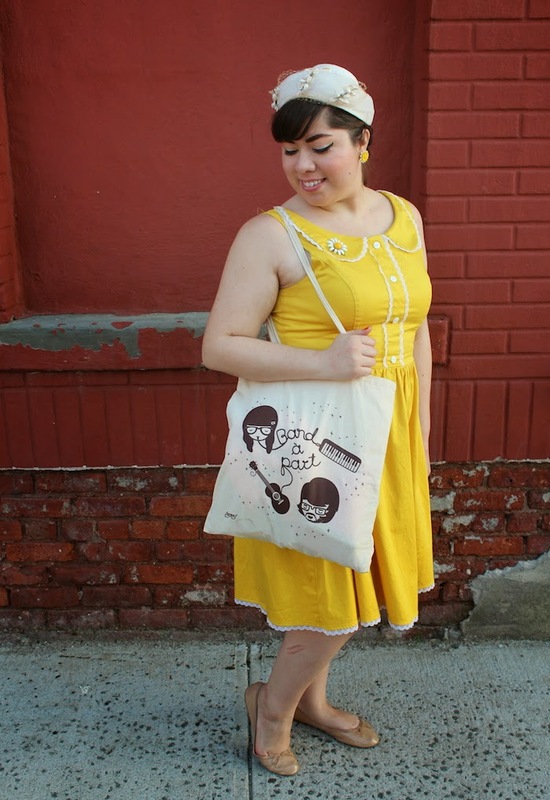 I wore this cute summer look to the last day of NYC Popfest. I was short on time, which is when I break out the hats. The whole look felt fresh and super summery. I nabbed this tote from a show the day before. The Spanish pop duo was my favorite of the festival! You look SO darling! 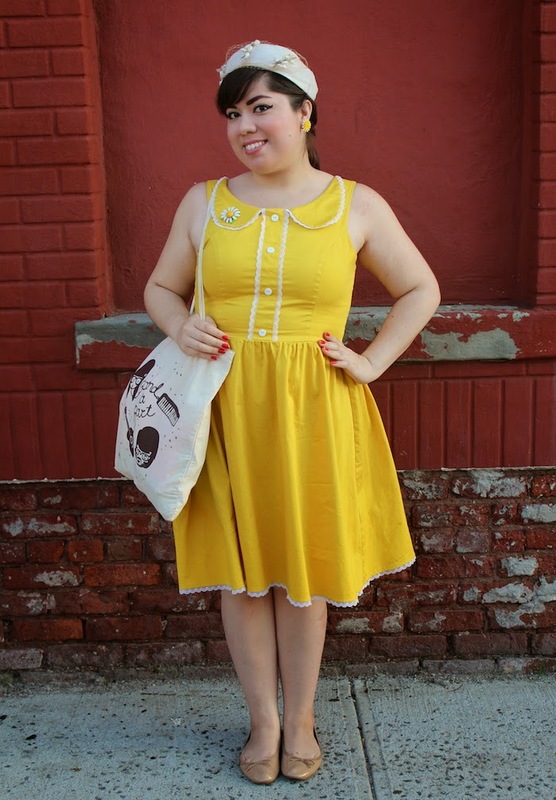 I love this yellow color and your accessories! 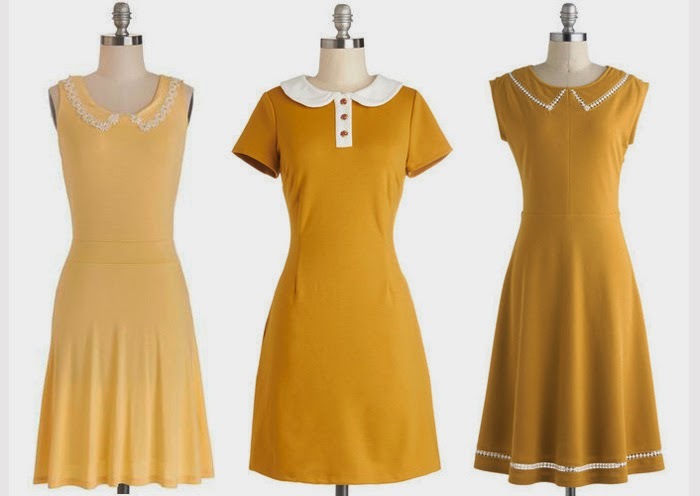 I think they actually sell this same dress in mint, but the yellow is even more charming! Oh my gosh, that dress! That collar! I love the daisy pin, perfect look! The hat looks darling with this dress. 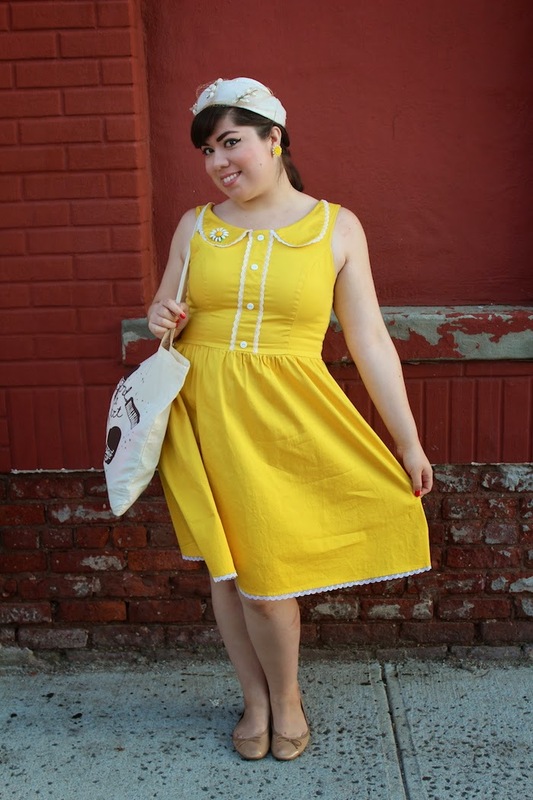 LOVE this yellow dress! I had seen it online recently, and thought about ordering it. It looks amazing on you! It's really making me want to take the pluge and get it. :) I also adore the brooch you are rocking! Perfect combo.